For clear insight into regional Styrene markets, you need in-depth price reports direct from those regions. Supply is likely to remain snug in the second quarter as the second largest US producer, LyondellBasell, is began a turnaround in late March at its 1.27 tonne/year plant in Channelview, Texas. Demand is likely to increase in the second quarter, as seasonal demand typically rises during the spring, ahead of the summer packaging season, and again in the autumn, ahead of the winter holidays shopping season. We offer the following regional Styrene coverage to keep you informed of factors and developments affecting prices in the US Styrene marketplace. 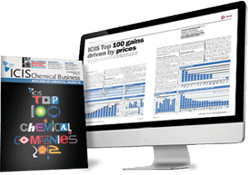 The ICIS US styrene report is widely read by majors as a benchmark in the aromatics / petrochemical sector. This is crucial because many companies trust ICIS in how we assess the market. They can pretty much put their business in our hands because of our accuracy and reliability, it can affect their outlook for a month, a quarter or even an entire year. 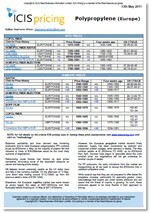 The US gulf (USG) styrene report includes a monthly contract price and a weekly spot price. We cover all bases in ensuring the accuracy of this report. We talk to buyers, we talk to producers, we talk to brokers, we talk to traders and we talk to shipping experts when it comes to this market and that is precisely why you should actually read the US Gulf (USG) styrene report from ICIS. 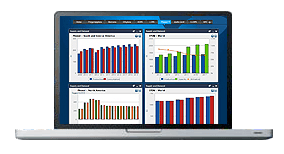 Whether you are a buyer, producer or trader, the weekly ICIS US Styrene Margin report will help you understand how costs and prices affect product profitability. The report covers integrated styrene production, from naphtha and benzene feedstocks, and standalone styrene production, from ethylene and benzene feedstocks, using contract and spot models.